Aaron Vale and Kristen VanderVeeen show off their ribbons in this week of the Ocala Winter Circuit! the Ocala January Festival has them all! 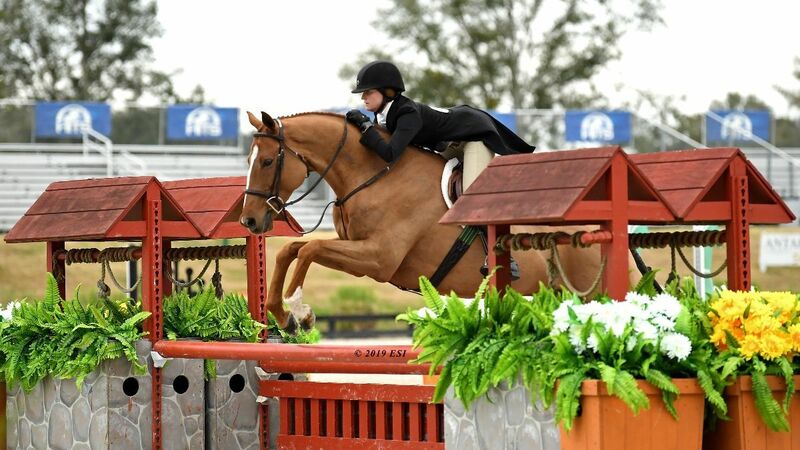 of the HITS Ocala Winter Circuit! Another week of show jumping competition has wrapped up at HITS Post Time Farm with more blue ribbons handed out in the featured classes. 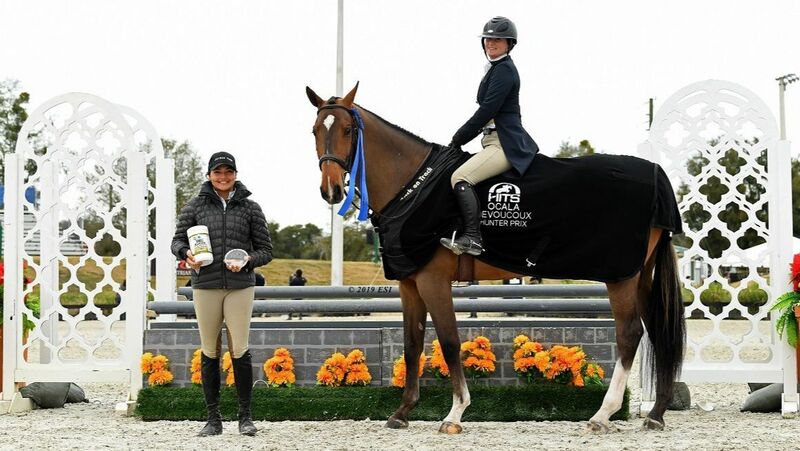 Wednesday kicked off with Kristen VanderVeen finishing first in the $5,000 Johnson Horse Transportation Welcome, aboard BULL RUN'S ALMIGHTY (pictured to right). VanderVeen crossed the timers in 30.685. Taking home first in the $10,000 KindredBio Open Prix was Manuel Torres, with the winning time of 35.260 aboard CHRISTOFOLINI H.
The winning round in the $10,000 1.35m Classic was accomplished by VanderVeen aboard BULL RUN'S DIVINE FORTUNE. A time of 30.685, to seal the win, made it her fourth top three finish for the week. 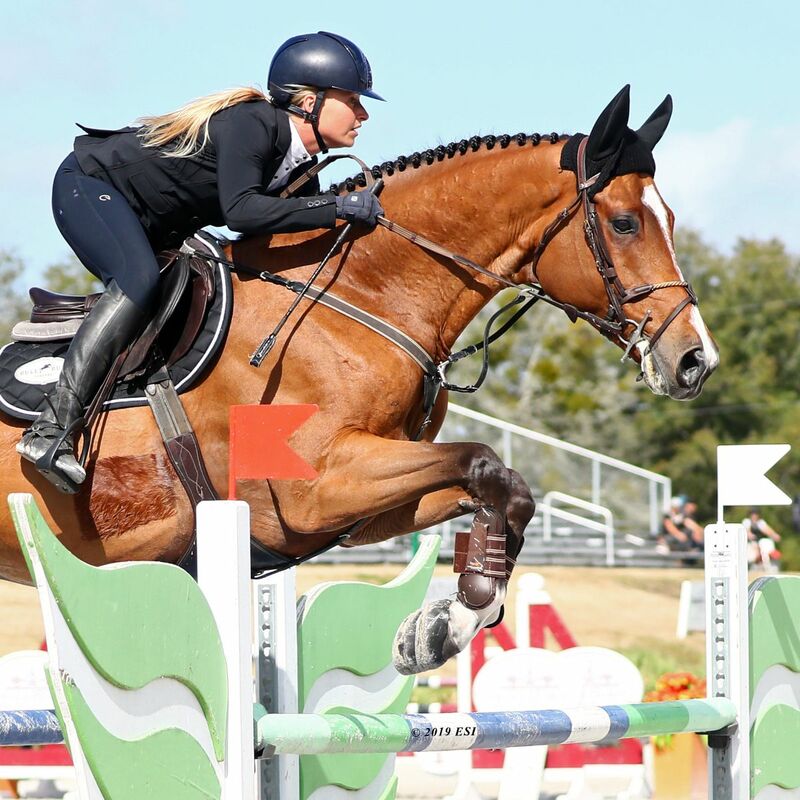 Sima Morgello and ZOPALA won the $2,500 Pyranah Jr/A-O/Am 1.25m Jumper Classic. Morgello also won the $5,000 Summit Joint Performance Jr/A-O/Am 1.35m Jumper Classic, this time piloting AZUR VAN OVERIS Z to the finish. Vale and MAJOR (pictured below) would take home the blue ribbon in the $50,000 HITS Grand Prix. Vale rode through the timers in a time of 39.238. This week also marked a special milestone for another member of the Vale family. 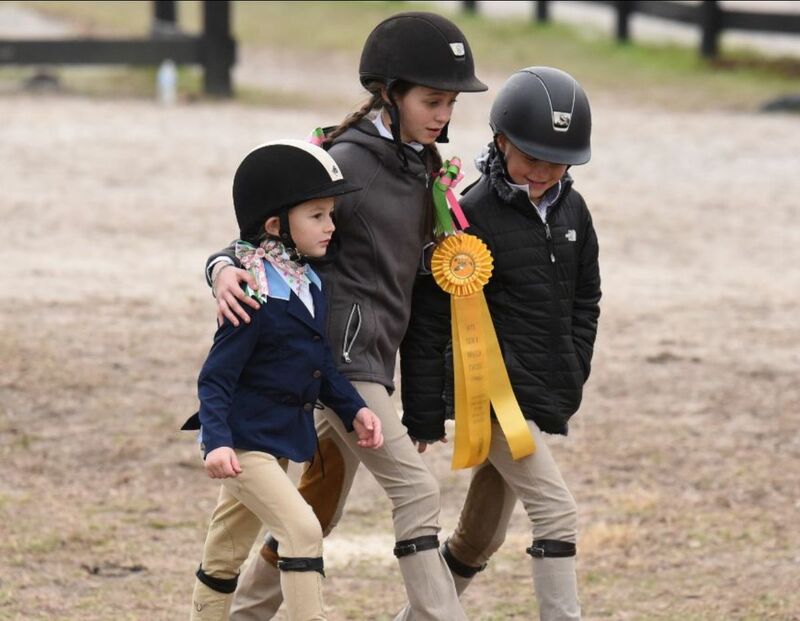 Kinser, daughter of Aaron and Mallory Vale, showed that she is following in her father's footsteps with a tie for champion in the Beginner Equitation Division with her very own BIBBITY BOBBITY BOO. 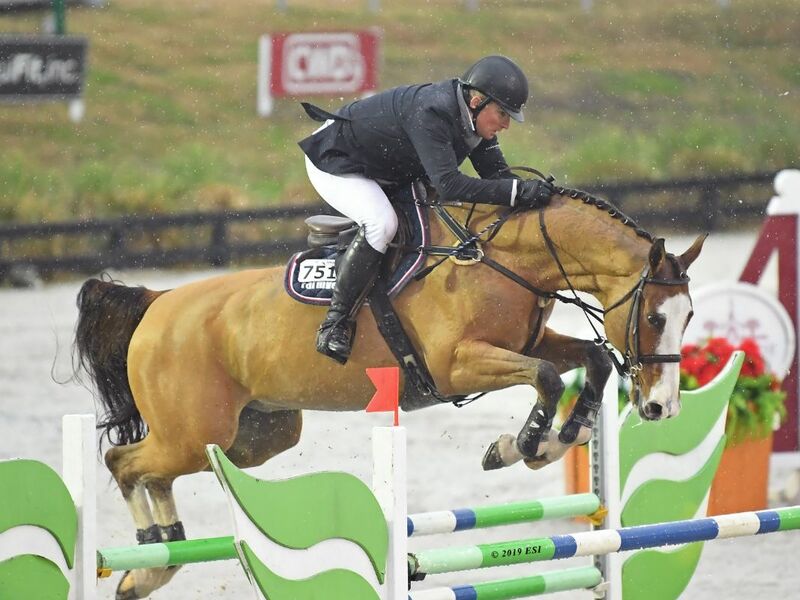 Scores were close in the Hunter Prix this week, with riders bringing their 'A-game' to the rings. Winning the $1,500 Platinum Performance Hunter Prix, by a narrow 2 point margin, was Elizabeth Solomon (pictured below on the left). Solomon led CAT DADDY to a first round score of 82 and a 79 in round two, for 161 overall. The $5,000 Devocoux Hunter Prix was nothing short of an amazing display of hunter competition as Taylor Adams took the win on BIG HOSS (pictured below on the right). Adams score of an 85 in the first round and 87 in the second round totaled to a score of 172. HITS is excited to be back for its 38th consecutive year of horse shows! Be sure to check out the prize list, available now, for details on all the HITS Ocala Winter Circuit has to offer. Don't miss out on the excitement. Enter today!